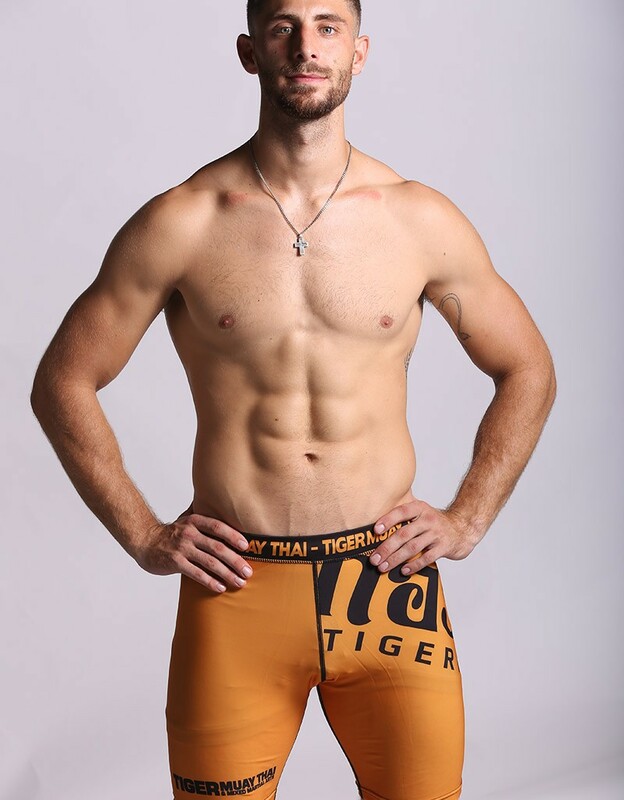 Compression shorts in Yellow & Black with "Tiger Muay Thai" written in Thai with big letters over the right leg. Compression shorts with "Tiger Muay Thai" written n Thai with big letters over the right leg in yellow & black. The model in the photos is 6' 2" / 188 cm and wearing a L size.